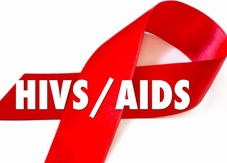 The Center for Infectious Diseases, AIDS and Clinical Immunology reports that 433 new cases of HIV / AIDS were revealed in Georgia in 2018. 404 new cases of the infection were recorded in the same period of the last year. A total of 7,195 HIV / AIDS -infected persons are registered in the Center for Infectious Diseases, AIDS and Clinical Immunology. The most cases, 2 622, are reported in Tbilisi. “7,195 infected persons are registered in the Center for Infectious Diseases, AIDS and Clinical Immunology. 5,382 of them are male patients, 1,813 – female. “The majority of infected people are from 29 to 39 years old. 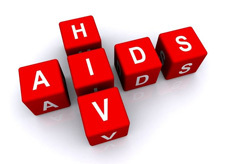 AIDS has developed in 3,786 patients, while 1,471 people have died from AIDS,” the center told the IPN news agency. According to the provided data, 40.6 % (2,924) of infected patients are drug addicts, 45.9 % (3,305) were infected as a result of heterosexual contact, 10.9 % (781) male patients – as a result of sexual contact with male partners, 1.4 % (101) - were infected through vertical transmission, 0.5 % (36) – are blood recipients, 0.7 % (48) – through unknown routes of transmission.